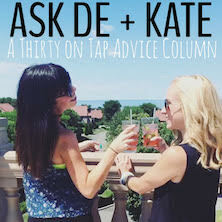 On today’s edition of Ask De and Kate, Thirty on Tap’s official advice column, we are talking about what to do when you move away from all of your friends — and even your significant other. One of our readers, who decided to go by the pseudonym “Stuck,” wrote in to get our advice after relocating for a new job. Here’s what we think! I moved from Texas to Illinois for grad school, and stayed after graduation because I got a job in Illinois. It’s a good job, and I feel fortunate to be close to my family (about a 4-hour drive). However, I’m not happy. I feel isolated and miss my best friends, who still live in Texas. I’ve been “dating” someone who also lives in Texas, even though long distance hasn’t worked out for me historically, because talking to him makes me happier than I’ve been in a long time. Needless to say, I want to move back to Texas, but I’m scared to quit my job because I have a ton of student debt and job hunting in Texas from Illinois has been fruitless. I’m also scared I’ll move back and still be unhappy; what if I think a geographical change will fix all of my problems, but it doesn’t? The decision has been giving me anxiety for months. What would you do if you were me? We totally understand what you’re going through. Both of us have moved to big cities for either school or a job, leaving our friends behind miles away. And it can be really, really hard at first, and we don’t blame you for wanting to pick up and move back. Luckily, the internet (and your phone) can be a great resource for meeting people in a new city. Since you’re already in a relationship, you probably won’t be downloading Tinder anytime soon, but there are actually a lot of apps similar to that one that can be used for swiping right on people you’d just like to chill with. (Check out this list here.) Alternatively, try inviting some of your new coworkers out to after-work drinks and apps, or to a yoga class you’ve wanted to try. Sometimes all it takes is just a few hours to break through the ice of “work talk” and you might find yourself with a new friend. Of course, at the end of the day, your emotional well-being and mental health matter just as much as an income and reducing your student loan debt. But before making any big decisions, maybe consider talking about your loneliness to a therapist, who might be able to help you develop strategies for coping. 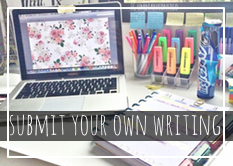 It could be a good idea to give yourself a deadline (i.e. “I won’t move back before this date”) which will allow yourself some time to adjust. Lastly, if there’s anything that being in a similar situation has taught us, it’s the truth that Glennon Doyle shares in her memoir, Carry On, Warrior. That is, “Wherever you go, there you are.” Her quote has become somewhat of a mantra for us, anytime we find ourselves thinking how much better life could be if we were able to ditch our current situation. The reality is that no matter where we go, or what we do, some level of emptiness or longing will likely still exist. Not because we’re doing anything wrong, or missing out on our best life, but simply because we’re all human and those feelings are only natural. 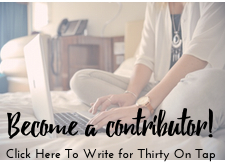 Before making the big decision to stay put or move cross country, it might be worth taking your focus inward and creating contentment that you can carry with you wherever you live. Find a new book that you can’t put down, pick up a hobby that you used to love, or try your hand at a new passion project. View this time as an opportunity to rediscover the things that fill you up from the inside out. We hope that helps — good luck with your new job and city. Hang in there, it will get easier. Do you have a question for De & Kate? Ask anonymously here. This person needs a social hobby, one that has friendship built into it. She could make friends in yoga class, a bridge club, whatever floats her boat.